Solids Control System contains all solids control equipment including shale shaker, decanter centrifuge, mud agitator, desander and desilter, centrifugal pump, mud gun, mixing hopper and mud tank. AIPU solids control system delivery to jobsite 2 weeks ago and we finish first commissioning on site successfully for end user. The client ordered 3 sets system and this is the second set working on site, the first set already in operation with good performance and feedback. 1. Mud flow capacity 1500GPM with 3 sets shale shaker for first phase drilling cuttings separation. 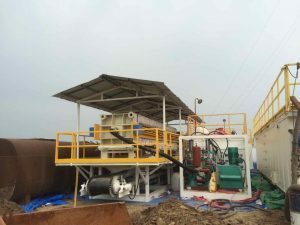 The 3 sets shaker connected by a mud distributor with 3 x 10” outlet to slow down drilling mud speed and distribute mud evenly to shale shakers. 2. 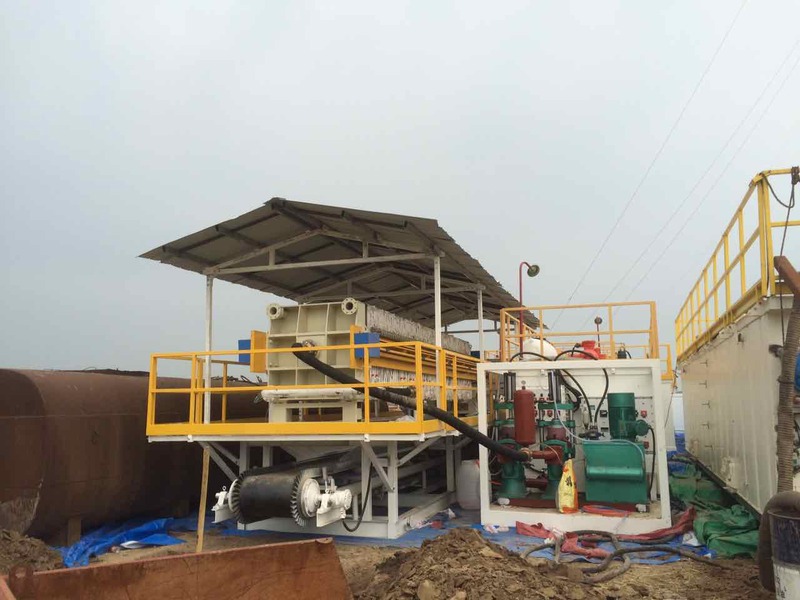 1 set mud cleaner with desander and desilter clone, 2 sets centrifugal pump sit under shale shaker to transfer mud into cyclone. 3. 2 sets decanter centrifuge for fine solids separation, first centrifuge is a middle speed and second centrifuge is high speed to reduce drilling mud weight and barite recovery. 4. 7 sets of mud tank for mud storage and new mud mixing. 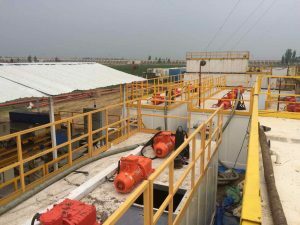 The tanks arrange with mud pump suction line, mud mixing line, mixing discharge line, mud gun line, water line and mud ditch. 6. Electrical control system for all electrical motors, electricals standard can be customized depending on requirement. AIPU Solids Control is one of the leading solids control system suppliers in China. Other than whole system, AIPU supply separate solids control equipment as well as related spare parts. In all spare parts, AIPU supply shaker screen for different size of shale shaker with different screen material and screen type. Please contact AIPU Solids Control freely for inquiry. Buy Shaker Screen, Get Shale Shaker Free!